With the development of the state capital not falling under the Land Acquisition Act, women labourers fighting for survival are unclear on how, and if, they will be compensated. There is a stark contrast visible as one travels through Andhra Pradesh’s capital Amaravati. There are green fields against the backdrop of hills on one hand and giant under-construction buildings kicking up massive clouds of dust on the other. 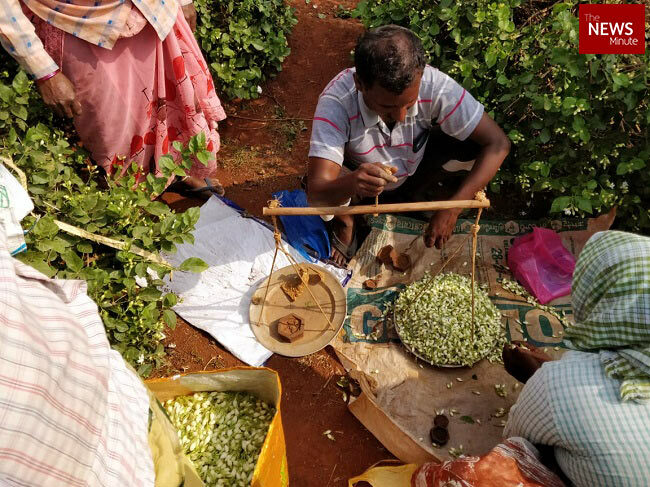 As campaigning for the upcoming elections goes on in full swing, a group of women in Nidamarru are busily engaged in plucking jasmines in a field at the outskirts of the quaint village. Y Sheshamma barely looks up as she keenly scans through every bush and plucks flowers that have bloomed. Almost done with her morning shift, she introduces herself as a widow in her early 50s. “I have been doing this for 30 years. I used to work in Bethapudi but that land is gone now. Soon they will take away this land as well, then we don't know where to go," she says. Amaravati, the new capital town of Andhra Pradesh, which is coming up between the towns of Vijayawada and Guntur spread across 29 villages, has fertile land that can assure two to three harvests a year; and this requires labour. 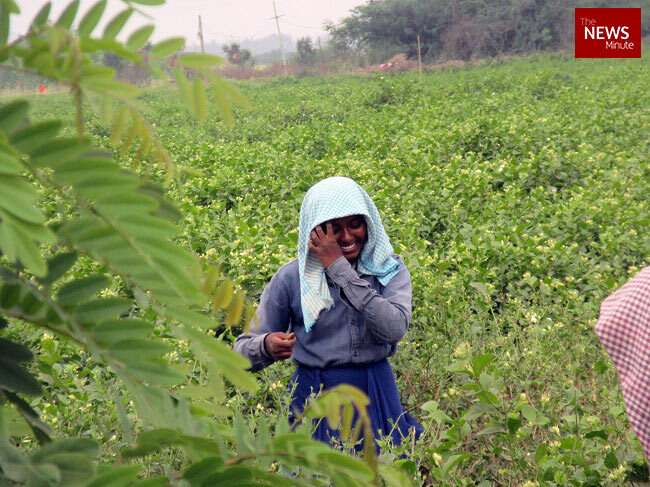 Once the megacity comes up, agricultural laborers like Sheshamma are unsure of their future. In many cases, the land is not being acquisitioned but ‘pooled’ under a separate law that the state government passed in 2014, called the Andhra Pradesh Capital Region Development Authority (APCRDA) Act. This allows those with land to opt for the state’s Land Pooling Scheme (LPS) instead of the Land Acquisition Act, 2013. Under the LPS, those owning land can volunteer to offer it up to the state government for a portion of the land to be returned to the owner, as a developed plot. The government has also assured that layouts will be developed with all the necessary infrastructure, along with other benefits like annuity and loan waivers. 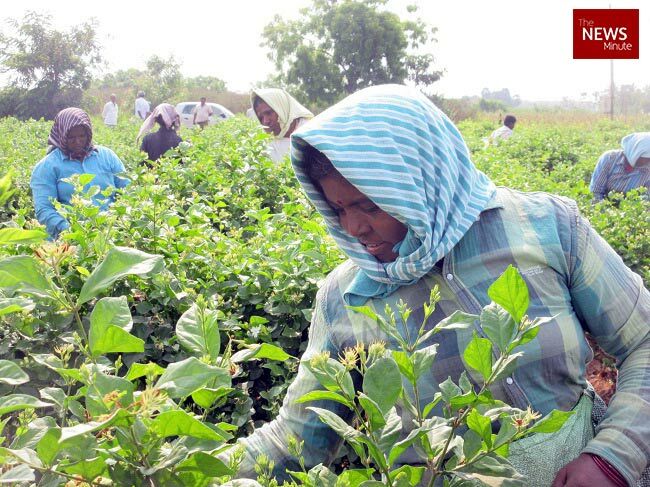 The APCRDA, in a report in April 2018, said that an area of 217.23 sq.km (53,748 acres) was identified as the capital city area, out of which approximately 34,058 acres of land was owned by individual farmers. The authority also claims that around 34,000 acres of land had already been procured under the LPS. As a result, real estate in the region is booming. While farmers will lose their income, they will still have land to bank on. However agricultural labourers and tenant farmers on the other hand, see a very bleak future as they feel that the ambitious capital will have no place for them. 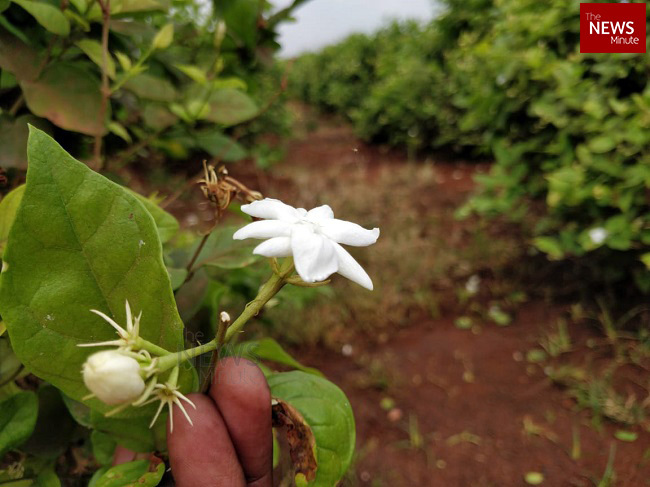 In the jasmine field in Nidamarru, around 20 to 25 women said that this was their main source of livelihood and it provided employment 365 days a year, as three fields with different types of jasmines, which were adjacent to each other, take turns to bloom. Each kg of flowers can fetch them around Rs 40 to Rs 50, which allows them to earn Rs 300 to Rs 400 a day. 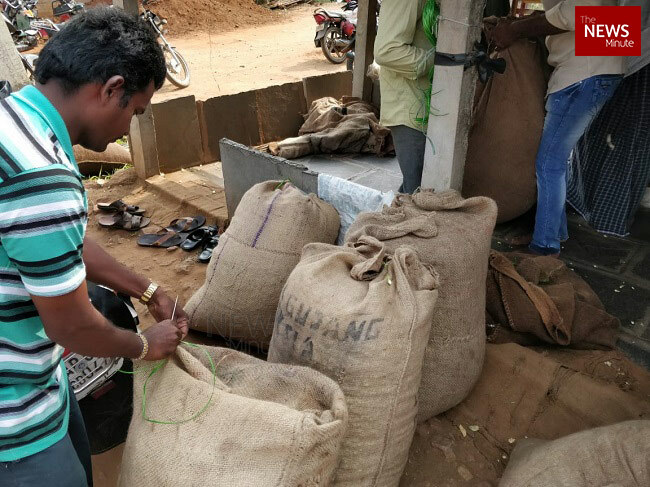 These flowers are then transported by farmers to a godown nearby, where they are weighed and packaged in 30 kg and 50 kg bags, before being transported to Vijayawada, Machilipatnam, Visakhapatnam, Hyderabad and other places across the state. 19-year-old P Kalyani, recently started working after discontinuing her education after Class 12. She and her sister ended up as agricultural labourers as they’re the children of a single parent with no land. When asked if a massive institution which was coming up close to the village would help her continue her education, she points out, “It’s not viable as these are large colleges and it involves a lot of money,” adding that she may have to migrate to the outskirts of Vijayawada or Guntur for work once the capital comes up. “Nothing will happen to them (farmers). They will get something. It is us, who are going to end up with nothing for survival,” Bethapudi Jayamma joins in. There are also several environmental concerns that have been raised, while arguing against the construction of Chief Minister Naidu’s dream capital. Amaravati is coming up on fertile agricultural land, which is capable of witnessing three harvests a year in some cases. Farmers say that the alluvial soil and the availability of abundant water and access to irrigation facilities, makes agricultural profitable in the region, allowing them to buy more land and expand the area under cultivation. Critics argue that it is unfair of the government to destroy this land. Others have argued that the Naidu government was courting danger by constructing the capital in a floodplain. Others point out that some areas under the capital were classified ‘Seismic Zone III’, which would mean that large-scale construction in the region could make it prone to earthquakes. There were also allegations that the state government bulldozed agricultural fields in the region and intimidated farmers to give up their land for the capital. Many individuals and groups also moved petitions with the Andhra Pradesh High Court and the National Green Tribunal. In October 2015, prohibiting construction, the NGT had said "Stay orders prohibiting all kinds of construction in the capital city zone will continue. Do not take up even land leveling work and do not remove any crop from this zone." However, on November 11, 2017, it had given the green signal to go ahead with construction activity in Amaravati. In 2018, the NGT issued notices to the Centre and the Andhra Pradesh government over a review petition filed by retired bureaucrat EAS Sarma. Sarma had argued that the project was not properly appraised by the state's environmental impact assessment (EIA). Secondly, the state government said that pollution was not a big issue. However, Sarma’s counsel submitted the figures from the EIA report prepared by the state itself, which showed that all the environmental parameters in the existing area, exceeded the national standard as Vijayawada was just one kilometre away from the capital, on the other side of the Krishna river. The NGT has also appointed a committee of independent experts, to review the project and inform the bench if there is any deviation from the order that was passed. On the ground, there is a clear split. Those who have already given their land for the capital are determined to vote for the TDP, while those resisting the project, are turning towards the YSRCP and its chief, Jagan Mohan Reddy. The TDP itself, is looking at Mangalagiri constituency as a test that locals approve of the massive project, and has fielded Chief Minister Chandrababu Naidu’s son, Nara Lokesh. However, the land pooling has taken place amid dissent. “The land was taken away by using three tactics; fear, illusion and confusion. Many farmers feared that by not giving up their land, they may end up with nothing, while several were sold the dream of the real estate boom to cave in. 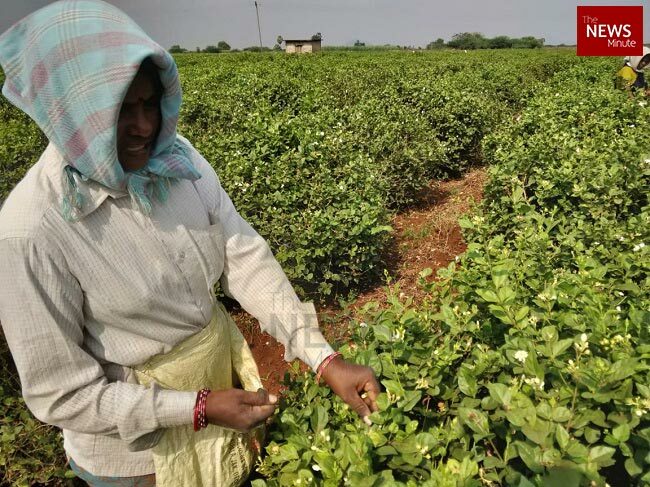 Others who didn’t fall for either, were put into confusion over the future of their land," says Anumolu Gandhi from the Amaravati Rythu Coolila Hakkula Parirakshana Samithi (Amaravati agricultural labourers rights protection forum). However, he is quick to add that even if the land of a farmer was taken away forcibly, they would still survive as the government offers compensation. “The problem is not for farmers who are landholders but the landless laborers from marginalised communities and tenant farmers," he says. While it is clear as to how landowners were voting, among agricultural workers, there is ambiguity, as they say that neither of the two main parties have addressed their concerns. They are also upset that the parties are not looking out for their interests in the elections, instead diverting all their attention only to the owners of the land. K Prabhu Das, a Dalit activist and president of the Capital Region Agricultural Labourers Welfare and Development Association, alleges that the project is exclusionary and is making them vulnerable. "Earlier, labourers would earn at least Rs 10,000 per month working in these fertile lands as there would be some work to do throughout the year. Now, we have been struggling to find work and the government is asking us to explore alternative sources of income. How can we move away from a profession that we have been doing for decades, in such a short time? Many of the labourers are also uneducated,” he says. The CRDA has announced a yearly payment of annuity for crop loss ranging from Rs 30,000 and Rs 50,000 depending on the type of land for farmers. The government rcently announced that this amount would be increased by Rs 5,000 on each category of land. But Prabhu Das says that the government was giving landless labourers a paltry compensation of Rs 2,500 per month, which is not enough to make ends meet. When asked about how the labourers would vote, Prabhu said, "We are the worst-hit with this project. We will vote for those who will give us a concrete assurance of justice."